Please stop in for refreshments, Hors D’ouevres & entertainment. 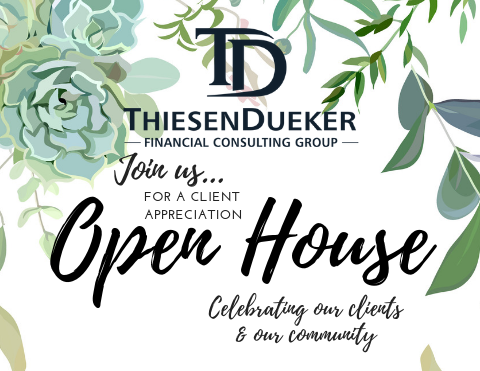 At Thiesen Dueker we are committed to our clients and our community. In addition to serving our clients in their best interest, we want to support the organizations in our community that make a great impact on the lives of others. Join us in supporting Make-A-Wish of Central California. Check donations may be made out to Make-A-Wish of Central California. 100% of the funds received will go directly to the local chapter of Make-A-Wish.